Today, August 26, is National Dog Day. 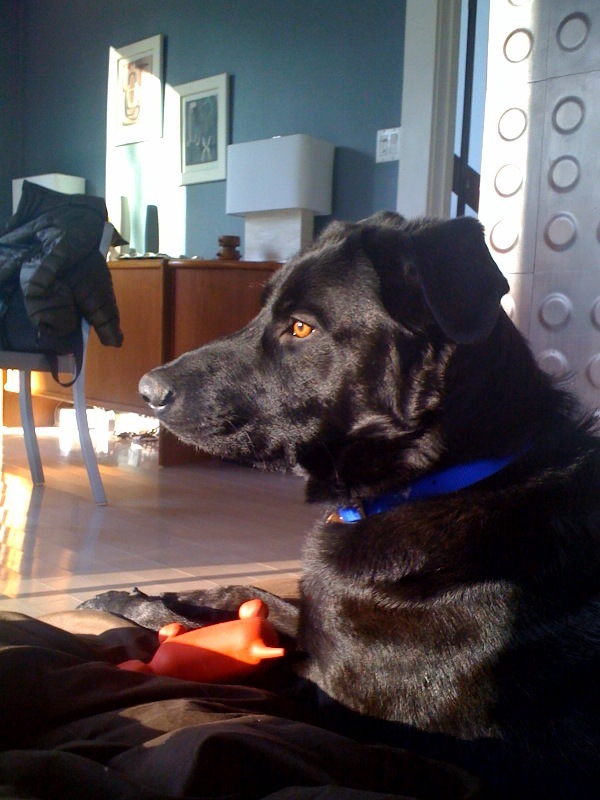 I am re-posting from 2010 when we adopted our perfect rescued companion, Cooper, from a shelter we love in Connecticut. 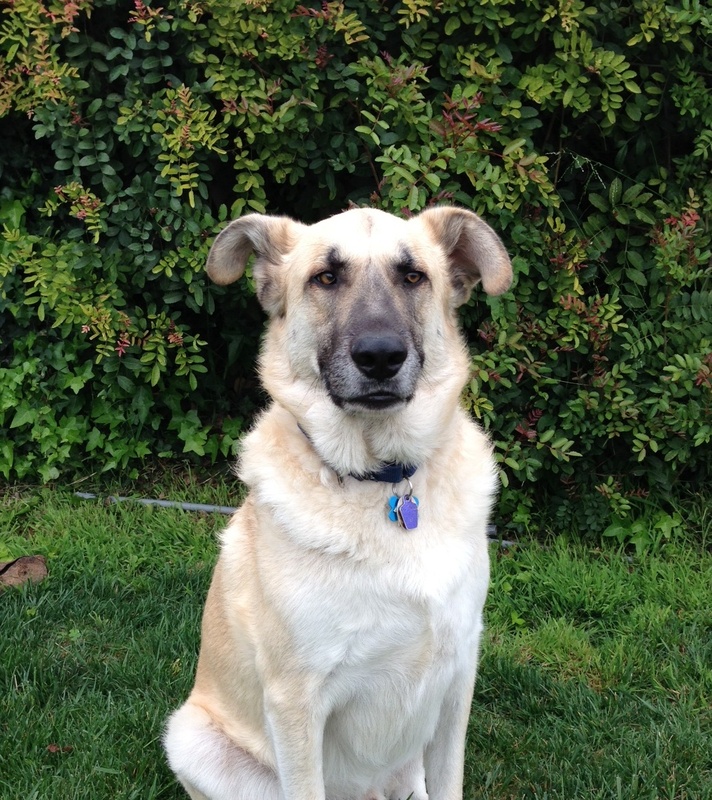 Since then, we also adopted Finn, the big blond bruiser whose picture follows (also from the same Connecticut shelter–links below). They are the best wrestling-tumbling-chasing-did-I-mention-wrestling-love-buckets on the planet. It wasn’t too long ago that I blogged about Black Dogs and how difficult they are to place for adoption from shelters. Without 100% clarity, theories tend to suggest it is because some people have a sense of distrust that they can not be seen at night (a weird thought, but OK) and more plausible, perhaps, is that they don’t photograph well on animal adoption websites. A big dark blob won’t make you pack up the kids to go look at a potential new family member the same way an adorable beagle or golden lab might. This weekend, we went and adopted our own magnificent Black Dog from the amazing volunteers at the Danbury Animal Welfare Society. DAWS is a non-profit (they could sure use your support/donations–easy to do at the link here), no kill shelter, and is truly run by the most loving, caring volunteers. They made every individual and family member who came over the weekend (and it was super busy–the first spring-like weekend of the year with warm weather and sunshine) feel that among the busy buzz, they were important and maybe the perfect home for one of their adult dogs or puppies. Our boy, Cooper, is a 2-year-old lab/shepherd…and Lassie, Rin Tin Tin, Scooby Doo, and Snoopy combined ain’t got nothing on him. He is brilliant, and has found his last, forever home…and has truly honored us by being part of our pack. I promise you there is a shelter near you that needs volunteer help. It is unheard of to have too many volunteers and regulars tend to be spread awfully thin. Wouldn’t it be a brilliant way to spend a morning or afternoon, bringing families together?